We've just closed another successful sale in Cuyahoga Falls, Ohio at 2323 19th Street. This stylish English Tudor colonial with great curb appeal and a wonderfully updated interior sold the very first day on the market for full asking price of $142,900. When you are ready to sell or buy a home in Cuyahoga Falls, call me...I can help. 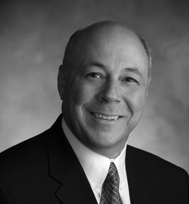 "Successfully selling Cuyahoga Falls homes for over 30 years." Best of luck with your listing- hope you have a rapid sale.